Versatile enough to play at lock or back row at Test level with Tonga, Valentino Mapapalangi moved to Tigers in the summer of 2017. Educated in Auckland, New Zealand, he spent two seasons in Auckland’s youth teams and then two years with Waikato before moving to Manawatu in 2015 and spent some time with the Chiefs development squad. At Manawatu, he scored three tries in nine games in the 2015 ITM Cup and joined the Hurricanes’ wider training group during the Super Rugby pre-season in 2016. His form also earned him a Test debut appearance in a win over Spain in November 2016. 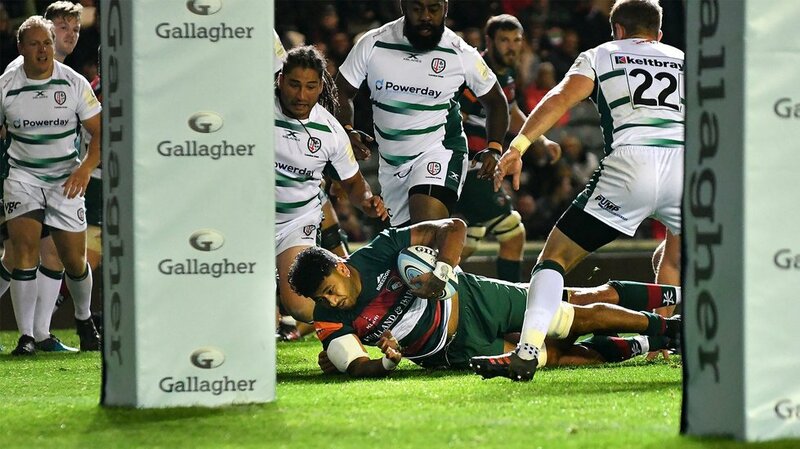 After playing in the 2017 Mitre Cup with Manawatu and in the summer Tests for Tonga, Mapapalangi secured a move to Welford Road and made more than 20 first-team appearances in his debut season.